Westfield Countryside mall in Clearwater, Florida has a very nice and spacious dedicated mothers lounge with nice amenities for breastfeeding and breast pumping moms. 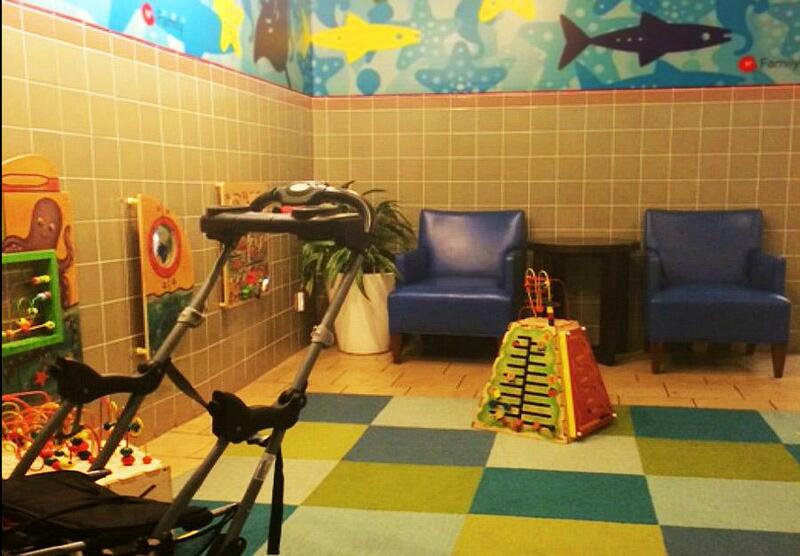 This nursing lounge has toys to keep older siblings busy while mom nurses the baby, Baby Changing Station, High Chairs for Young Children, and comfortable seating for mom to sit and breastfeed or breast pump. A great plus is that it accomodates more than one mom in the nursing area, so there's less congestion outside while waiting.